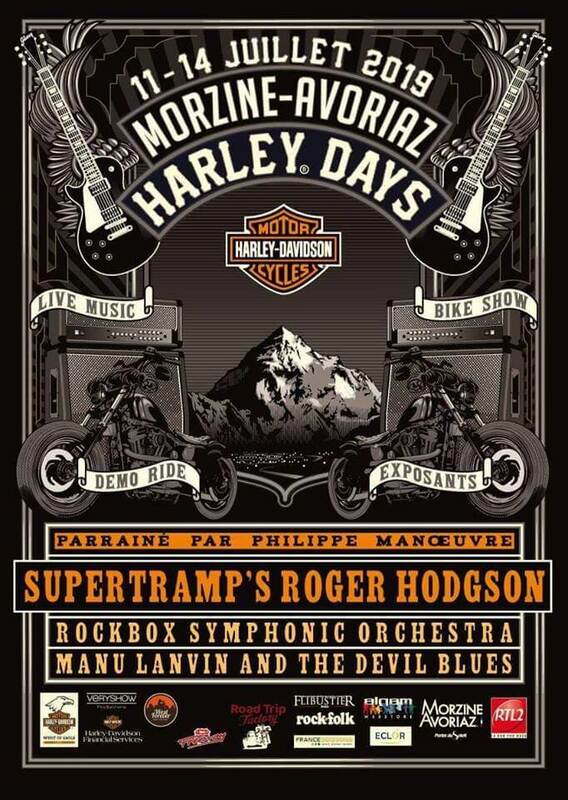 Mandatory pilgrimage for riders from all over Europe as well as rock music fans, the Morzine Harley Days are back in Morzine from July 11th to 14th, 2019. It is not less than 10 000 motorcycles and 30 000 passionate fans and visitors who are expected in the station for this event which every two years turns Morzine into the Mecqua of the lovers of the mythical brand : stands, custom bike, daytime motorcycles strolls and live concerts and shows in the evening! This year, Supertramp’s Roger Hogson, The Rockbox Symphonic Orchestra, Manu Lanvin and the Devil Blues … a great program for this edition sponsored by the famous Philippe Maneuvre. Do you want to spend the summer in Morzine and enjoy discovering or rediscovering the legendary Harley Davidson universe? ask for your quote.